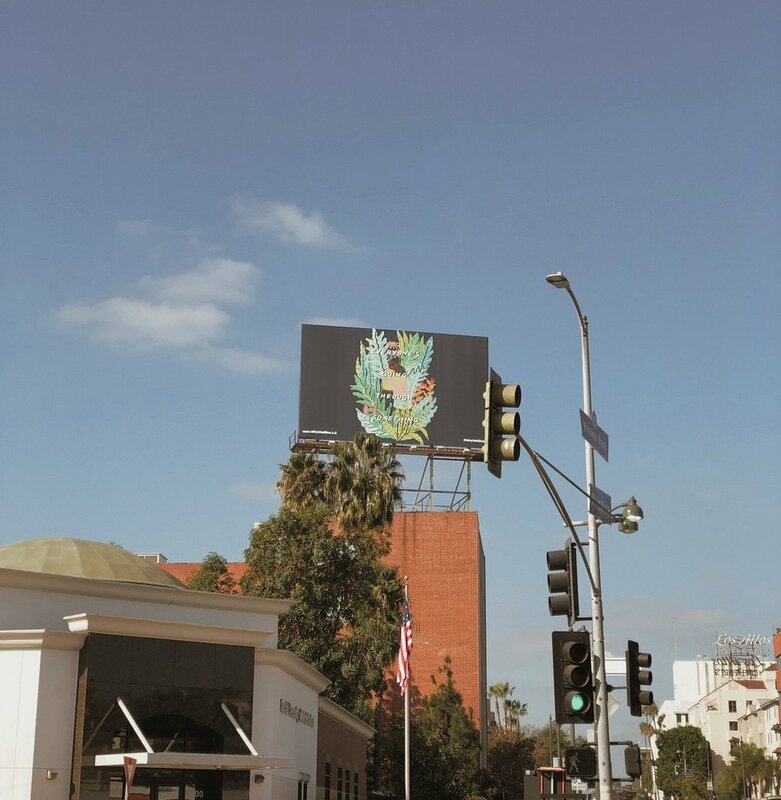 As an participating artist in the 2018 art show “We Rise LA” in Chinatown, I was asked to created a poster to support public mental health. 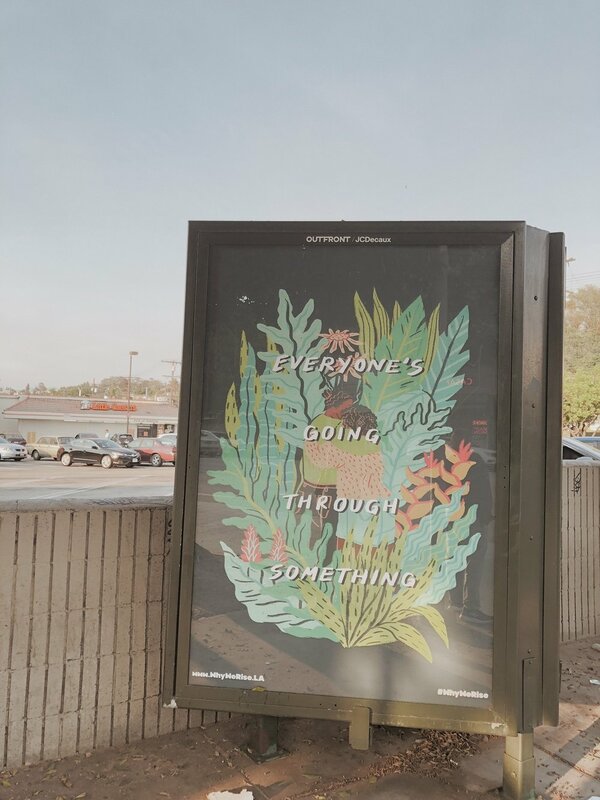 The poster, which reads “Everyone’s Going Through Something” has been amplified across LA County through billboards, bus stops, and bus ads. 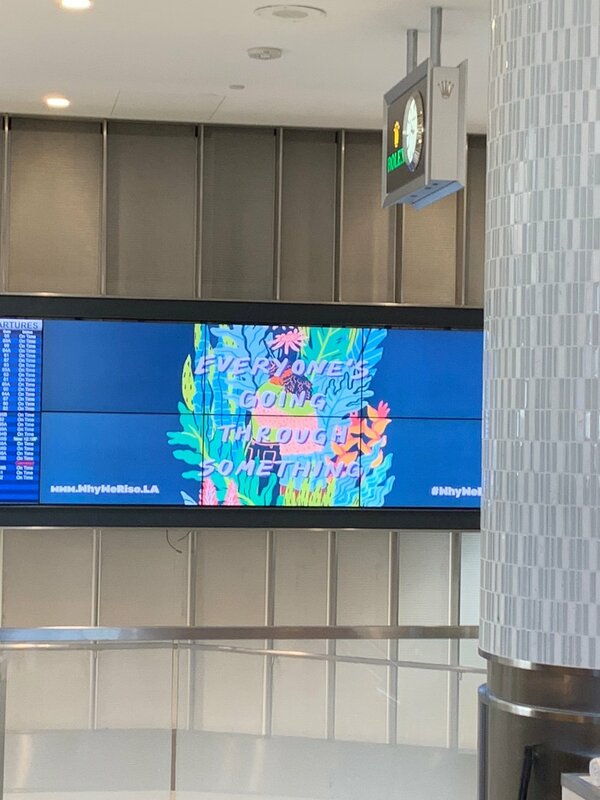 It’s been incredible to see my artwork reach thousands of people through their daily commutes, and even in LAX.